Showing results for tags 'Whiskey'. Looking to understand if there is a minimum time in barrel for spirit classes Light Whiskey or Whiskey distilled Bourbon Mash? 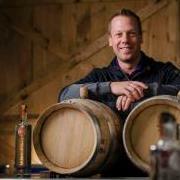 I am currently an Assistant Distiller at two distilleries in Portland: a leading craft distillery producing multiple mainstream spirits categories, and a producer of fruit brandies, liqueurs, and grappa. Between these two roles I have developed a broad range of skills applicable to the entire distillation process, including recipe creation and mash production, fermentation and distillation, bottling and tasting room sales, and cleaning, cleaning, and cleaning. I’m looking for a new position with room for growth. Though I’m most experienced with distilling, I also love beer and brewing. My interests are far-reaching, and I’m particularly keen on collaborative projects with other local producers, agriculturally-focused sourcing, and quality-oriented production. I’m willing to do a virtually unlimited amount of hard, tedious labor (see: making grappa), but I’m really seeking learning opportunities. In other words, I’m not interested in a full-time bottling gig if there are no development opportunities to go along with it. I also have a background in accounting and finance, and though I’ve left the corporate world behind I retain a deep-seated enthusiasm for spreadsheets and budget analysis. I’m also pretty well versed on lean manufacturing and management techniques in the industrial setting. I have an open mind about what kind of position would be a good fit. Part-time work would be ok, and so would a position outside the Portland metropolitan area (but within driving distance). If you’re looking for a knowledgeable, enthusiastic, and focused person to lead or support a beer, spirits, or winemaking operation, get in touch. I’d love to hear from you and talk about how I can help. I am a seasoned distiller with 4 years under my belt and I am looking for growth at a new venue. I am looking for a Head Distiller position or a higher up position than assistant distilling. I have much experience with larger and smaller scale craft distilling from start to finish of the process, with a focus on whiskies and syrup based alcohols. I have done literally everything in a distillery from grain to bottle. I have helped to develop and grow a now flourishing distillery and am now ready to spread my wings, learn more and take on a new world. I have created and modified recipes for the distillery I worked for as well as for other distilleries under contract. I have made recipes increase their yield by 175% without changing grains or flavor of recipes, as well as managing employees, representing distilleries publically, creating huge online SOP / knowledge databases. I have a considerable amount of pride in making what I put my heart into and making the best spirits. I also have the knowledge to help your distillery with recipes, management, become more efficient and everything in between. I am willing to relocate to the right fit and am very free at the moment. Feel free to contact me at whiskeysmithy@gmail.com, I will happily get you my resume, recommendations (all which should impress) and cover letter. Thank you for your time, I look forward to working with you. Our white whiskey has been occasionally slightly cloudy after proofing - the first 4 runs did not have this issue. The last two, we've been forced to do a second distillation to get a more clear spirit. We've tried distilled water and DE-mineralized water for proofing, neither have solved our cloudiness problem. We've also done full runs making a cut every 1/2 gallon to ensure we're not getting tails cloudiness in our bottle. Lastly, we've dissembled and cleaned the columns... Even when the 80% distillate is crystal clear, it's cloudy when diluted. I will note it's not SUPER cloudy, in fact we have been arguing what constitutes 'cloudy' but it is definitely not crystal clear like the 'big boys' on the shelves. I just learned about saponification, and our next project is diluting over the course of a few days to see if that helps.... Thoughts? Hi all, Fairly green distiller here with an hypothetical that I thought of while trying to wrap my head around some of the TTBs regulations regarding formula requirements. Say I develop a mash bill of 80% corn, 10% malted barley, and 10% rye. Say I distill in twice (not that important) and the proof at distillation is 150. What would I designate the distillate? Would I designate it as the general class 'whiskey'? Or would I designate it as corn whiskey since it fits the S.O.I.? Now follow close. Say I wanted to use that distillate both for a white corn whiskey as well as a bourbon. Could I use a singular batch for both? What then would I call the distillate? Would I need formula approval since I would have to designate it as one spirit (whiskey or corn whiskey) then change it's class/type to another (bourbon) even though bourbon does not require a formula approval normally? Now focusing on a singular barrel of that sweet, sweet bourbon. Say I partially-harvest an amount in 1 year for a small bottling. Would the aging clock stop even though the whiskey leftover never left the barrel? Or could I age it longer than 2 years and get the Straight Bourbon designation? If I am able to, how does that affect formula requirements? All three of those products normally don't require a formula and I'm in no way using weird techniques in production. Would I still need a formula approval for at least 2?